With a meteorite dial from Down Under. The Prestige HMS was Romain Gauthier’s second wristwatch, but more importantly, it’s part of his first generation of designs, which had a more classical look as well as a “back winder” crown (as compared to the newer Insight Micro-Rotor or Logical One, for instance). Now the Prestige HMS has been facelifted with a meteorite dial and steel case, giving it a fresh appearance, while retaining the highly regarded and finely finished movement. 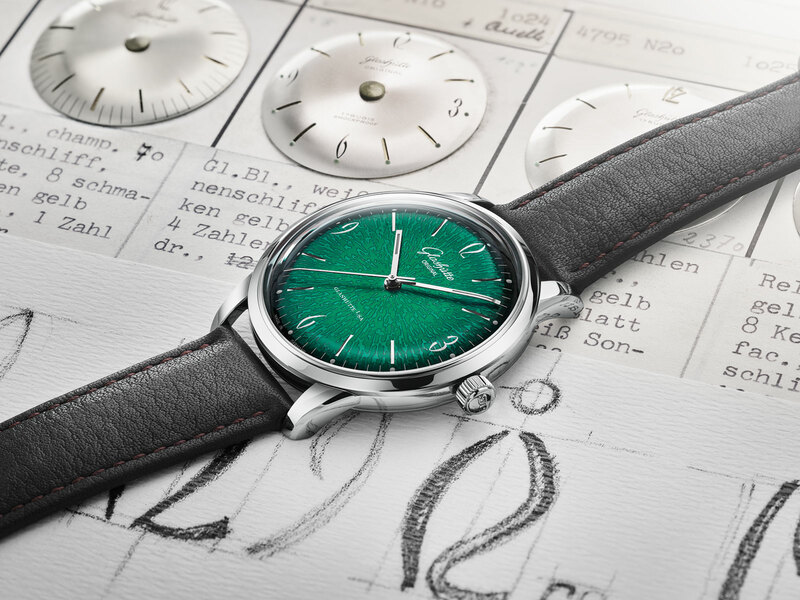 The new Prestige has a lighter, more modern look, helped by the pale grey tones and larger steel case. Its appeal is further boosted by the fact that it’s the first serially produced Romain Gauthier wristwatch in stainless steel, making it more affordable than equivalents in gold or platinum. In essence, the new Prestige is an attractive middle ground between the earliest Romain Gauthier watches, which are more traditonal, and the very latest, which are sporty and contemporary. First introduced in 2012 with a guilloche dial and precious metal cases (titanium came slightly later), the Prestige HMS is a three-hand, time-only watch. 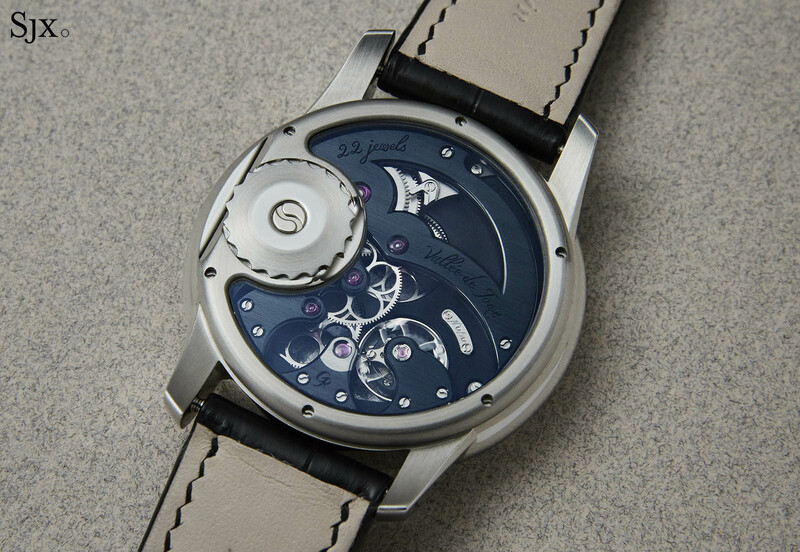 “HMS” is short for hours, minutes and seconds; Romain Gauthier’s first model from 2006 was merely “HM”. Though functionally simple, the Prestige HMS, much like the rest of Romain Gauthier’s timepieces, is intrinsically complex in construction and finish. 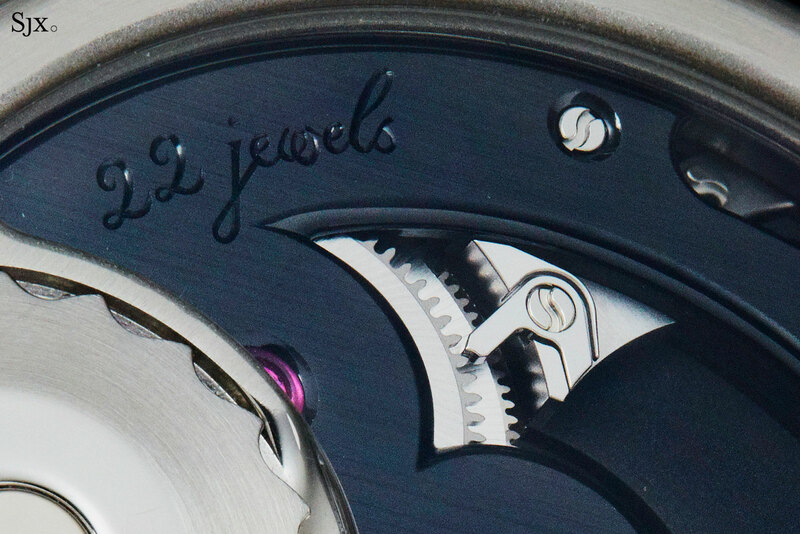 The movement in Prestige models is characterised by the uncommon crown that sits flat on the case back, known as a “back wind”. Occasionally found on vintage watches, especially small lady’s timepieces, the “back winder” crown is meant to give the case an uninterrupted silhouette while allowing the wearer to wind the watch while it’s on the wrist. On the wrist, the watch feels no different from one with a conventional crown, because the “back wind” crown is almost flush with the case back. In practice, however, the crown setup is inconvenient because of its flatness, which makes for a poor grip. A swivelling tab would make winding easier, but the new Prestige HMS keeps the flat, serrated crown. The watch is quite a bit larger than the original Prestige watches, with the case measuring 43mm in diameter and 12.1mm in height. 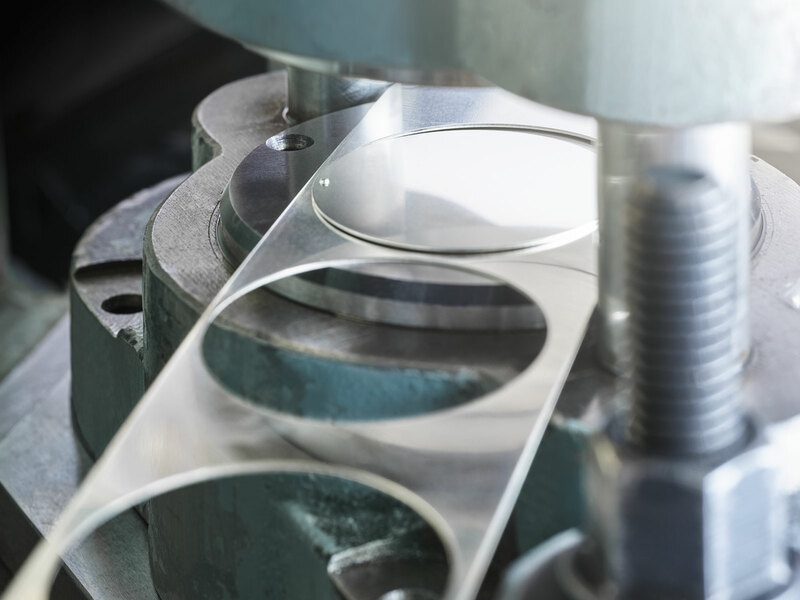 The case middle is brushed, while the bezel is polished. Together the larger size and contrasting surfaces give the watch a decidedly more modern look when compared to the earlier Prestige watches. 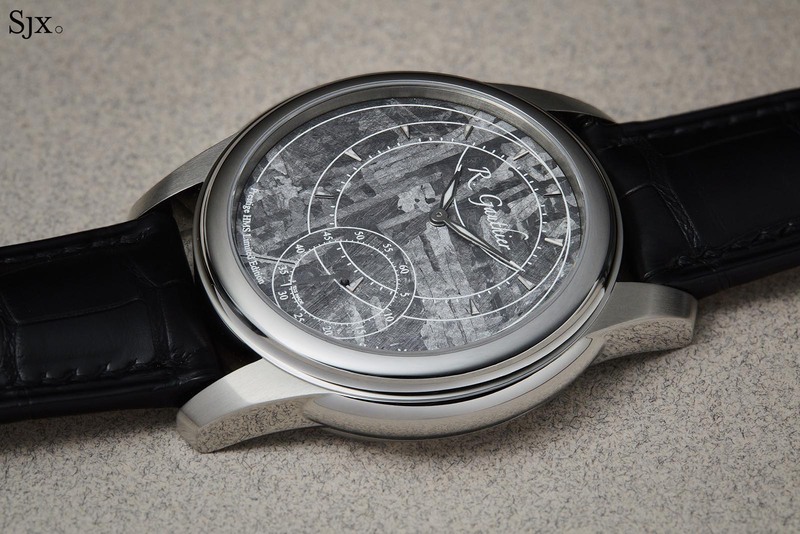 The dial is made of a thin slice of meteorite that was discovered in 1931 at the Henbury crater field in the vast and desolate Northern Territory of Australia. Now a conservation area, the crater field contains just over a dozen craters from meteorite strikes that occurred over 4700 years ago. The dials of the Prestige HMS are the only samples of Henbury meteorite outside the South Australian Museum in Adelaide. 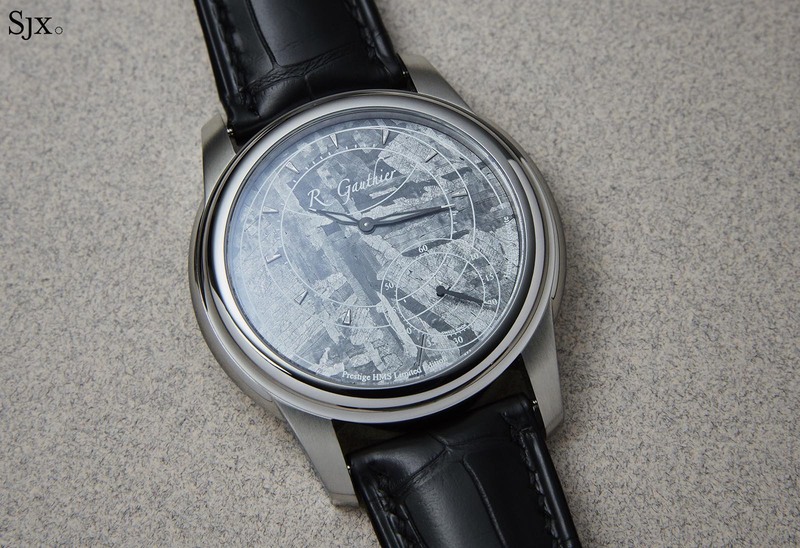 Like most other meteorite used for watch dials, the cosmic rock here is an octahedrite, or iron meteorite. Such meteorites are composed of over 90% iron, with the rest being nickel and small amounts of other heavy metals. 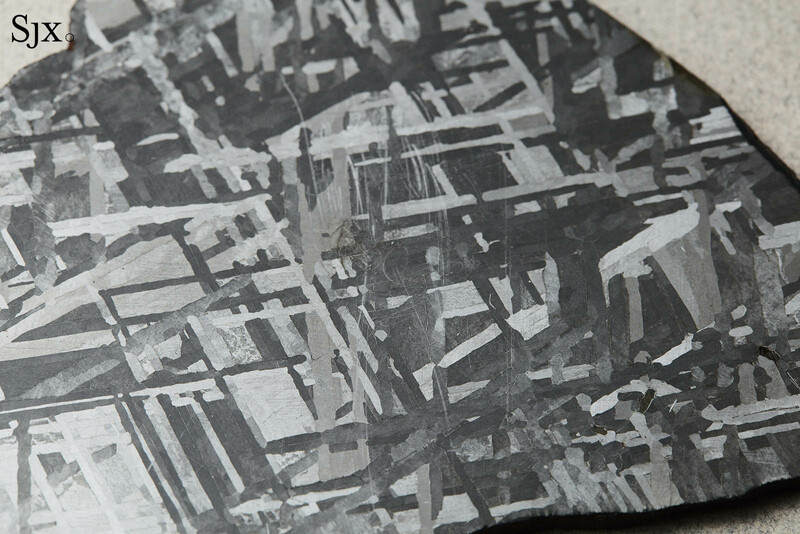 A mottled grey in its natural state, meteorite is typically sliced into thin pieces and then chemically etched to accentuate the fabulously complex Widmanstätten pattern that comes from the iron and nickel crystals inside. Each ribbon-like crystal is slightly different in composition and is weakly bonded to another, which creates a fragility that makes meteorite a nightmare to work with. 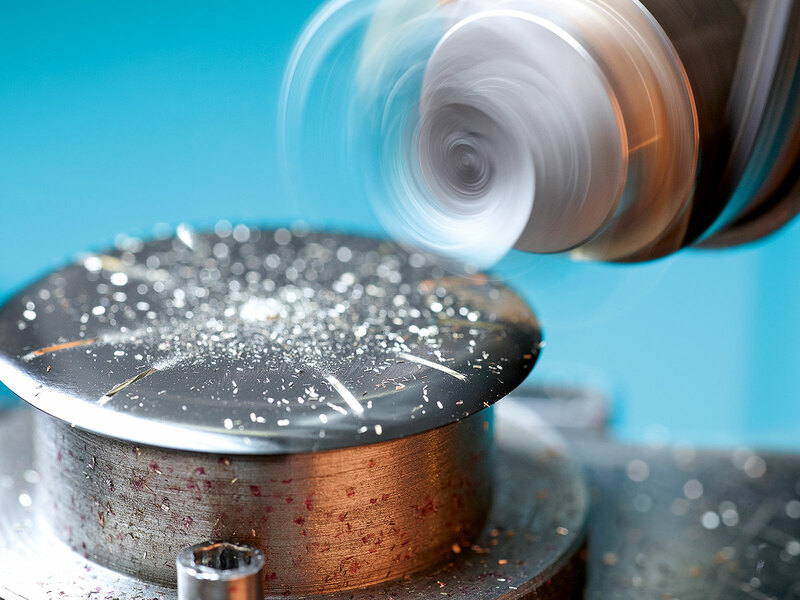 Regular milling machines simply do not cut it (no pun intended), so instead the dial is made in two steps. 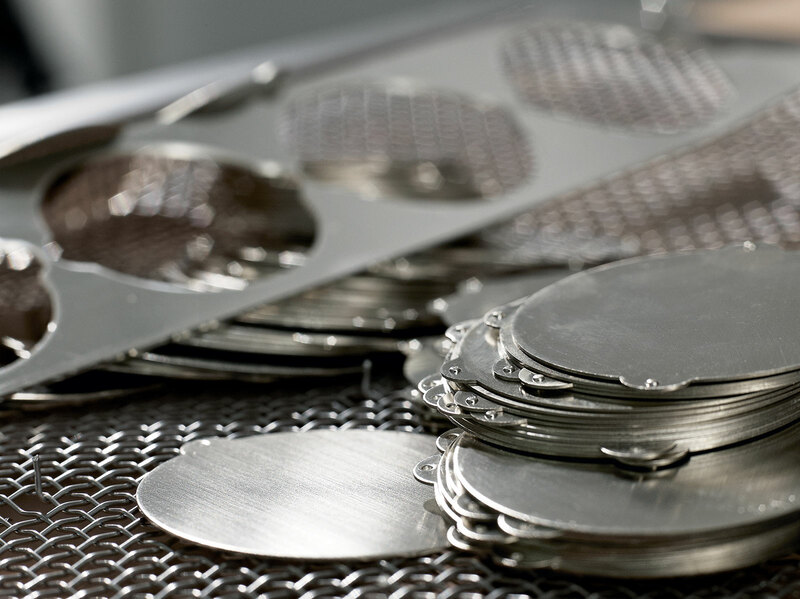 First with electrical discharge machining to cut out the shape, and then a three-axe CNC mill for the details like the holes for the feet of the hour markers, creating a dial that is just 0.8mm high. 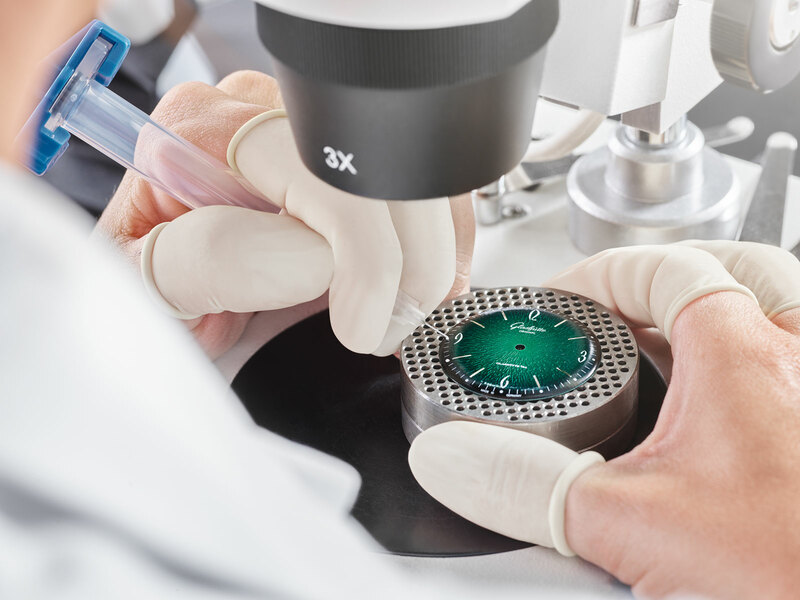 The dial is then coated with a corrosion-resistant lacquer to prevent the iron and nickel inside the meteorite from oxidising. The Henbury meteorites are medium octahedrites, classified according to the fineness of the metal crystal layers inside. 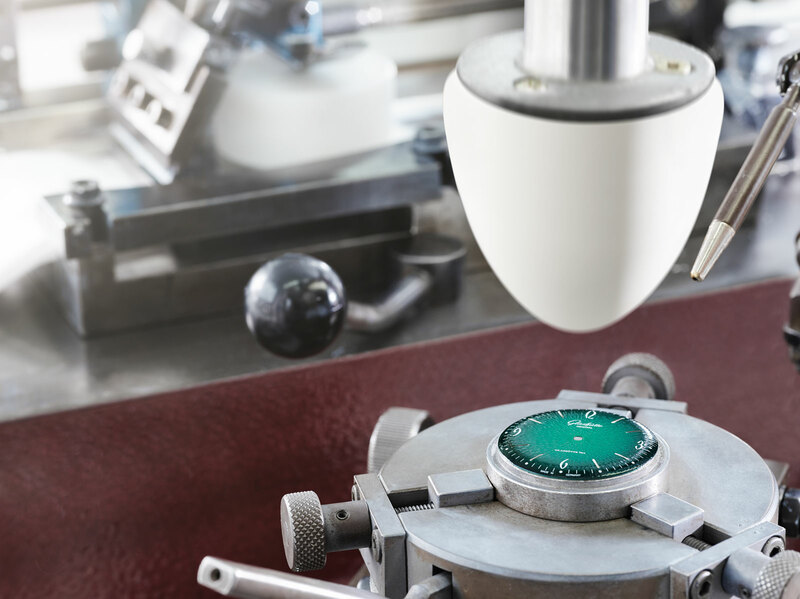 Consequently, the Prestige HMS dial has wider bands in its Widmanstätten pattern, resembling bold brushstrokes. 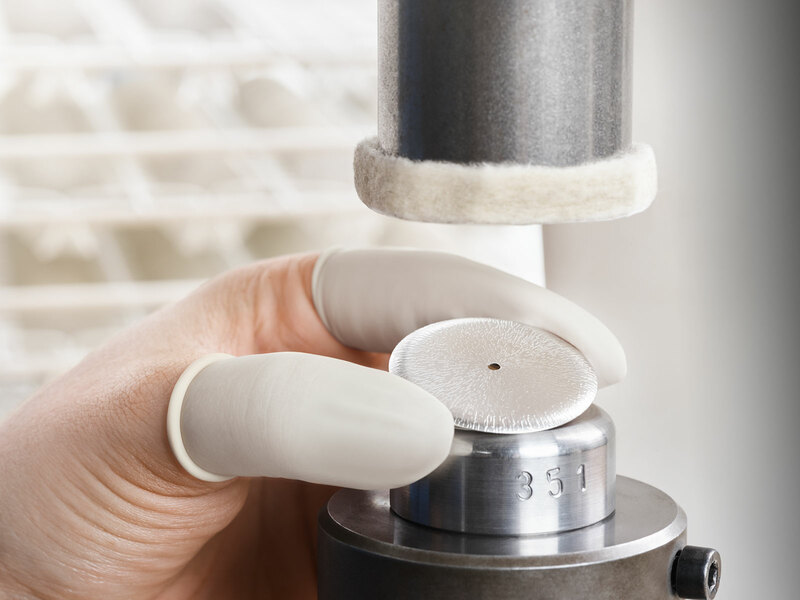 In contrast, the meteorite dials found on other watches like the Omega Speedmaster Grey Side of the Moon or Jaeger-LeCoultre Master Calendar have narrower, more defined bands as they are typically obtained from the more common Gibeon meteorites of Namibia, a finer octahedrite. The hour markers are solid gold while the hands will be blackened steel (the watch pictured has prototype hands), both filled with Super-Luminova for night-time visibility. And the hands have their tips covered in Super-Luminova, giving the watch a high degree of legibility. 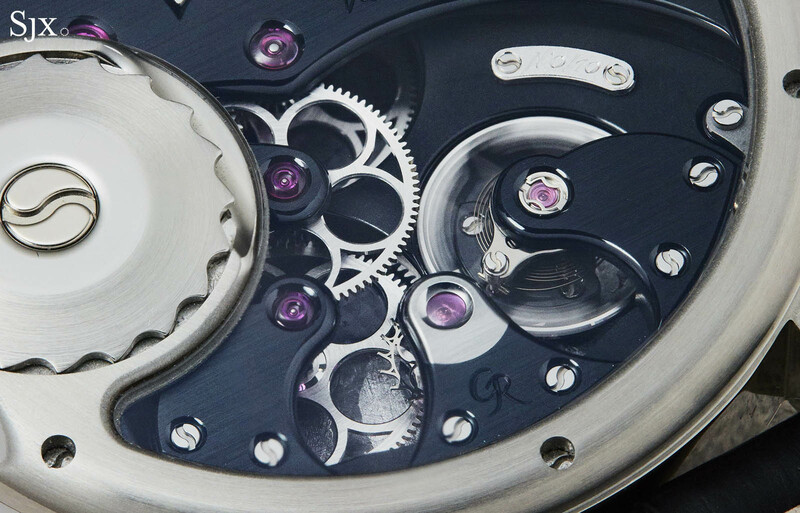 Inside the watch is the same calibre 2206 found in the earlier Prestige watches, the movement that first made collectors take notice of Romain Gauthier. 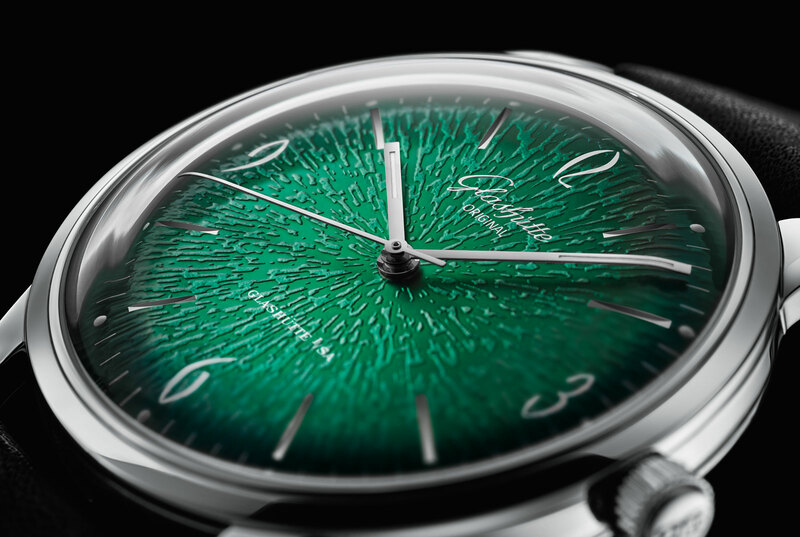 It’s hand-wound with a 60-hour power reserve. 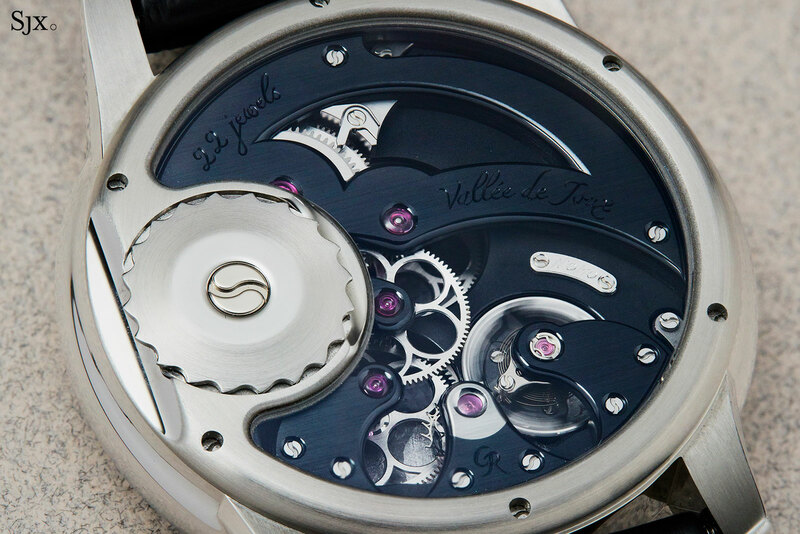 The movement is indeed stunning, with fluid contours of the bridges that flow in synchrony with the gears. The volume of the bridges has also been minimised to reveal as much of the moving parts as possible. That means not only the wheel train and regulator are visible The barrel bridge has a sharply defined cut-out that offers a glimpse of the barrel and winding click, while three short finger-bridges hold the first, escape and balance wheels. Amongst its many features, the cal. 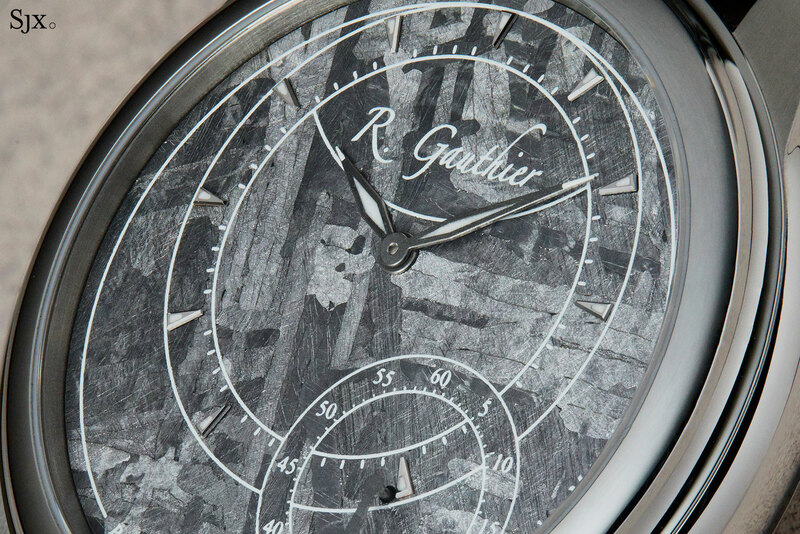 2206 has a free-sprung, adjustable mass balance of Romain Gauthier’s own design, featuring gently curved arms. 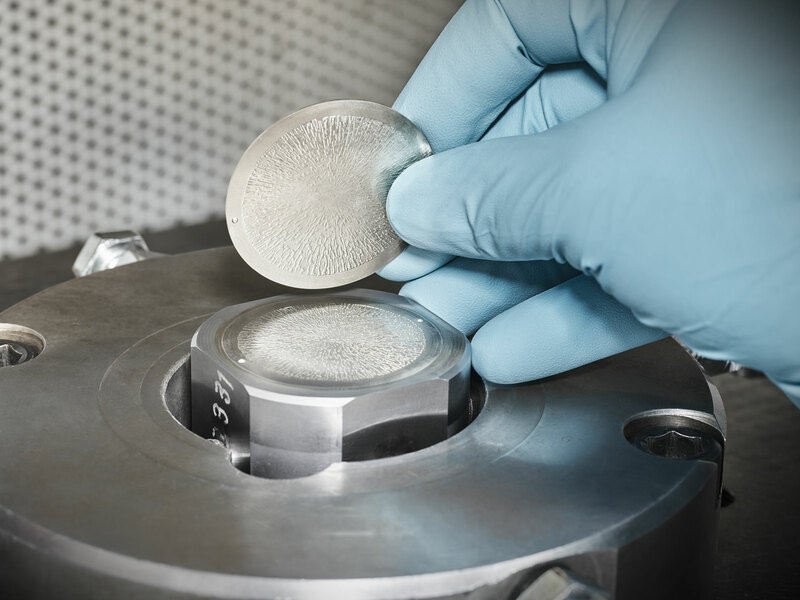 The pallet fork is also proprietary, being triangular in form for maximum rigidity that promises more stable operation. 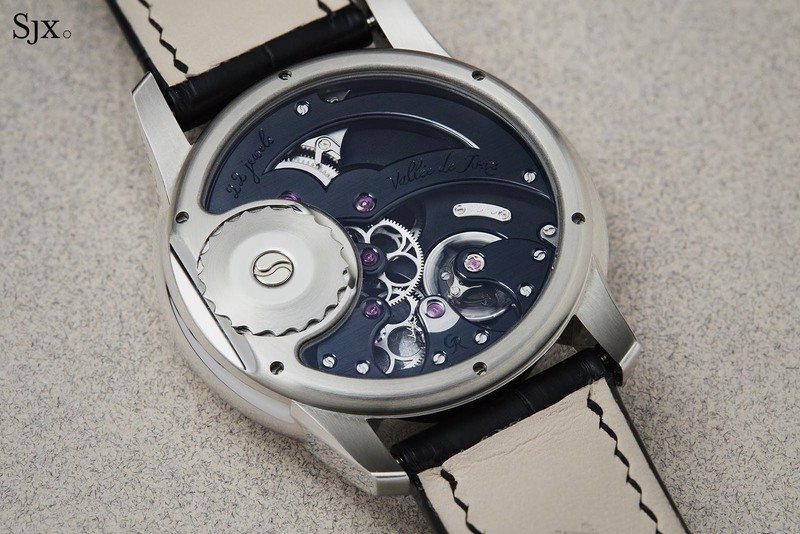 As with all of Romain Gauthier’s movements, the appeal of the cal. 2206 lies not only in the complex forms of the bridges, but also the unusual detailing that gives the movement a subtle yet distinctive identity. All of the going train wheels, for instance, feature circular spokes that bring to mind flower petals, while all screws have an S-shaped slot. 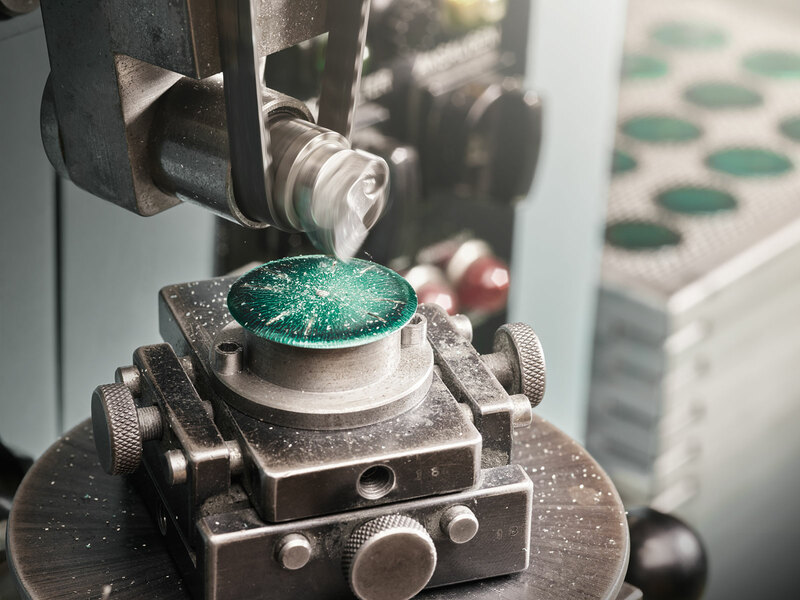 All that is made possible by Romain Gauthier’s well-equipped production facility that also supplies other brands, including Chanel for its high-end Monsieur watch. While the construction of the movement is the same, it is finished differently here. The bridges and main plate both have a black finish, which makes the finely executed decoration less obvious. The bridges have straight graining on their top surfaces along with polished, rounded bevels, while the base plate has a hand-frosted finish. The Prestige HMS Stainless Steel is a 10-piece limited edition priced at SFr68,000 before taxes. The top-notch automatic movement gets a lightweight case.